Todd Gurley II, meanwhile, was missing in action. 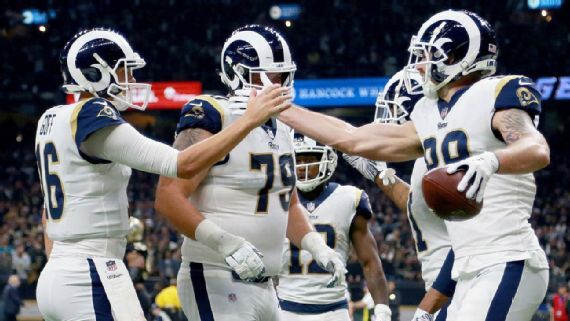 After Gurley had one pass skip off his arms and into those of a Saints defender in the Rams’ first series, then dropped a pass on third down early in the second quarter, the highest-paid running back in NFL history inexplicably spent a majority of the game on the sideline, save for a 6-yard touchdown run, while veteran backup C.J. Anderson rushed for 44 yards in 16 carries.